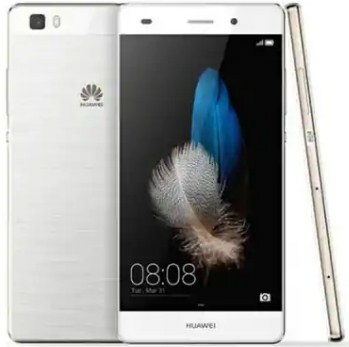 For those who have a plan to root your device named Huawei P8 Lite using Kingoroot, you have to know that you have to unlock the bootloader first. After you understand to unlock the bootloader, then you can continue reading this article. There are two versions of Kingoroot. They are PC and APK version. You are recommended to try the APK version first as it is no need for you to connect the device to the computer. Basically, it is very convenient. Be sure that your device is powered on and has at least 50% battery level. Internet should be connected. It is better if it is connected to WiFi since it needs Internet to download the Kingoroot APK version. Make “Unknown sources” enable on your Device. You can do it by setting it in the Settings > Security. After you have prepared the preparations, you can move to the rooting process. The first thing that you have to do is to download Kingoroot APK for free and install the file on your Huawei P8 Lite. Then, launch the app named “Kingo Root” and start rooting. After that, you have to wait a few seconds until the results appear. In the end, you will see if it is succeeded or failed. In case the process of rooting is failed, please try a few more times since there are several scripts integrated in the software of the root. Apparently, this kind of thing is able to increase the success rate if you try the different scripts. If it still does not work after all the efforts, then you can try it via Kingoroot PC version. This one has a higher success rate due to the technical reasons. If you are interested in trying this method, here is the information for you. Before trying Kingroot PC version, there are some preparations that you have to prepare. Some of them are the device powered on, at least 50% battery level, make sure the Internet connection is connected, connect the device to the computer (this one needs a USB cable), and it is better to make the full backup to prevent something wrong. When everything is done, then it is time for you to root your Huawei P8 Lite. First, download KingoRoot Android (PC Version) on your computer and install it. Second, double click Kingo Android Root to launch it. Third, connect your device to the computer via USB cable after launching you will a see prompt asking you to Connect your device to computer via USB cable. Fourth, there should be a device driver on your computer to recognize your device. If no one is there, Kingo will install one for you automatically. All you have to do is to follow the instructions and install driver on your computer. For the complete instructions, please follow the official website of Kingoroot. Related Post "Kingo Root Huawei P8 Lite"